NJ SEO Company » Events » On-Demand Webinar: Is WordPress Multisite Right for You? Learn the Pros, Cons, Considerations, and More! The WordPress Multisite feature is a great, robust option for managing multiple WordPress websites; however, it’s not right for everyone. 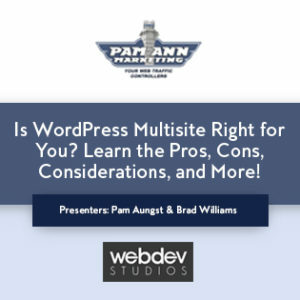 Brad Williams, CEO of the renowned WordPress development firm WebDevStudios, will join Pam Aungst, President of Pam Ann Marketing, for an in-depth, interactive walkthrough of everything you need to know about WordPress Multisite. The live event has ended, but you can register to watch the recording on-demand anytime! 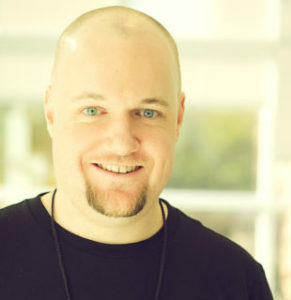 Brad Williams is the Co-Founder and CEO of WebDevStudios. He is also a co-author of the books Professional WordPress Design and Development and Professional WordPress Plugin Development. Brad is a US Marine Corps veteran and has been developing websites for over 20 years. In the last 10, Brad has specifically focused on open-source technologies like WordPress and BuddyPress. Brad has given presentations at various WordCamps across the globe. He is the organizer of the Philadelphia WordPress Meetup Group and the co-founder of WordCamp Philly. Brad is also a former co-host of the DradCast WordPress podcast and he is currently a member of the Forbes Agency Council. Owned and operated by WebDevStudios (WDS), eWebscapes is a website design studio that specializes in small business websites. Originally launched in 2002, eWebscapes merged with WDS in 2012 and was relaunched in 2017. 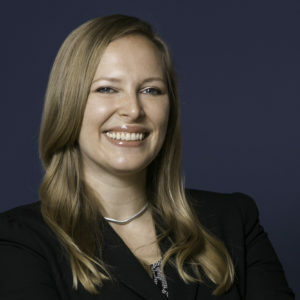 Pam Ann Aungst, M.B.A is widely recognized as an expert in search engine optimization (SEO), pay-per-click advertising (PPC), and digital analytics. Referred to by Sprout Social as a “Twitter Success Story,” she harnessed the power of social media to launch her own agency in 2011. Pam has won several business awards and has been interviewed by publications such as Internet Retailer magazine and CBS Small Business Pulse. She guest-lectures at prestigious universities such as NYU, and frequently travels around the country giving talks at digital marketing conferences. Pam Ann Marketing and Stealth™ Search and Analytics both specialize in SEO, PPC, and Analytics. Through Stealth™, we work on a private-label basis through other agencies. Through Pam Ann Marketing, we work directly with established businesses and funded startups to take their search and analytics strategies to the next level. Free Webinar: Is WordPress Multisite Right for You? Learn the Pros, Cons, Considerations, and More!